ATLANTA – March 26, 2019 – Comcast announced today it is opening nine new Xfinity retail stores across greater Atlanta in 2019. The investment will expand to 18 total stores in the Atlanta region, making it simpler for customers to experience Comcast’s suite of products or interact with staff. 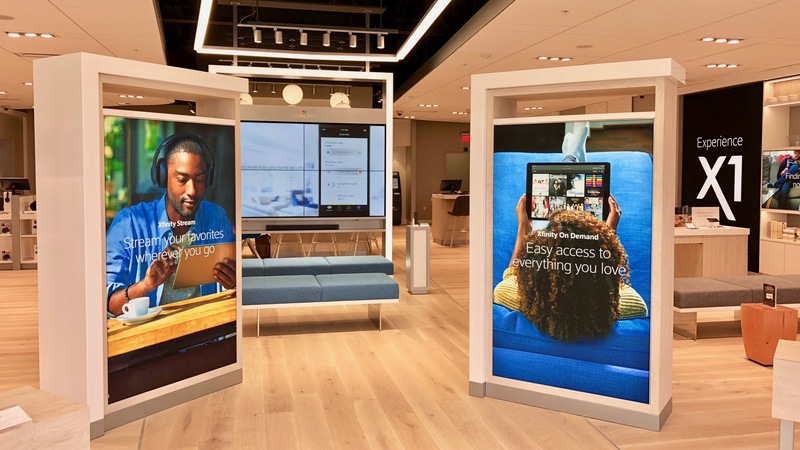 Comcast’s newly re-designed stores are based on the needs of customers, allowing them to interact directly with the latest products and services. The stores feature experiential displays where visitors can try all of the Comcast products, from internet, video and connected home solutions to Xfinity Mobile. Xfinity Stores range in size up to 4,000 square feet and are located in shopping destinations already familiar to local customers. In addition to receiving product demonstrations, customers can simply ask our experts about their current services or devices, learn how Xfinity apps make it easy to manage their account, sign up for all Xfinity services, pay bills at kiosks, return or acquire equipment and purchase accessories like Bluetooth speakers, headphones or mobile phone cases. Customers can also go online to https://comca.st/2uwgTIu, click “Visit an Xfinity Store” and make an appointment. For more information on the Comcast retail experience, visit https://comca.st/2uCroKp.